Hi guys, it's so great to be back! Now I'm not an every day blogging kinda gal. However you may have noticed I've been MIA over the last few weeks. Well in the worst stroke of luck known to mankind I threw my back out 3 days before Christmas. Yeah, not fun! I'll spare you all the deets from this painful ordeal, but my back is fine & healing and I'm ready to tackle 2015! 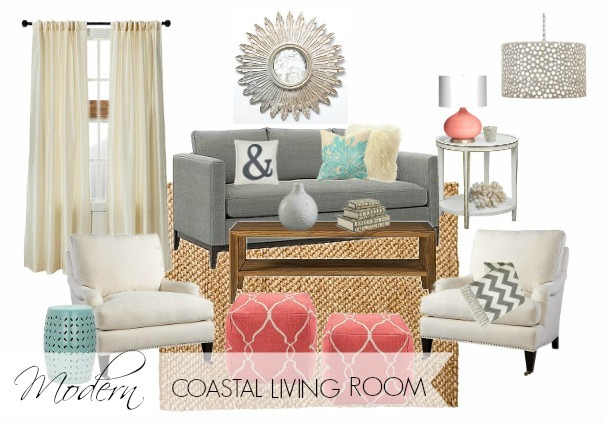 I created this Modern Coastal living room above for a Design Challenge that I do from time to time with a few other fabulous bloggers. This casual space has soft colors in grays, creams, blues and even pink! Grounded with a jute rug and shimmering silver accents, this fun space is both beachy and chic! 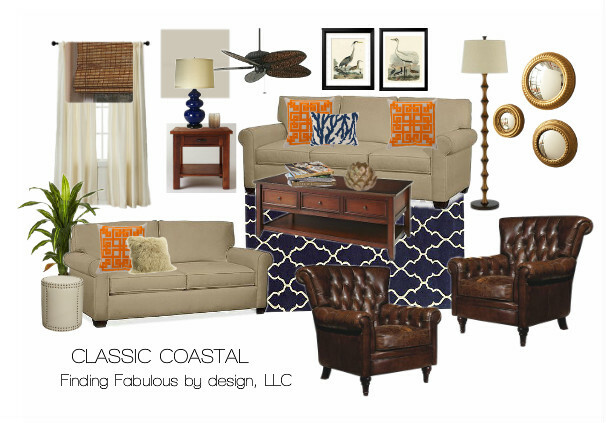 This classic coastal space above was made for a client who wanted both functional and neutral colored furnishings, with comfy cozy leather club chairs. I really love the navy and orange pops of color here, as well as all the pattern and texture. Ahhh, and those heron prints! I love using nature as my inspiration when designing spaces. Finally this board above I created for a busy working professional who is out of town weekly. 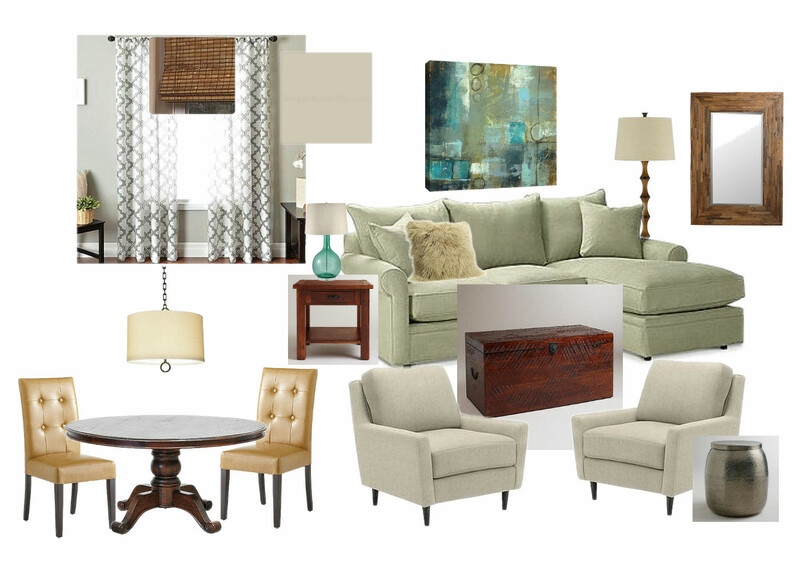 She hired me to create a design board around her existing sage green sofa. This idea is central to my design philosophy - there is no need to buy everything new! If you're looking to save money, Identify the pieces that work, and then go from there. Okay so we have three very different Design Boards here. My goal is to create stylish, balanced and functional spaces that not only look great, but reflect my clients personalities too. And here I think we've got a little something for everyone! So which Design Board best fits your style? Thank you Lizzie, I love that one too for a beach house. But I could also see the second one in a lake house!